Peru is a country of amazing geographical landscapes, vibrant culture and history. From the Amazon to Machu Picchu, there is enough to fill a lifetime with adventure. 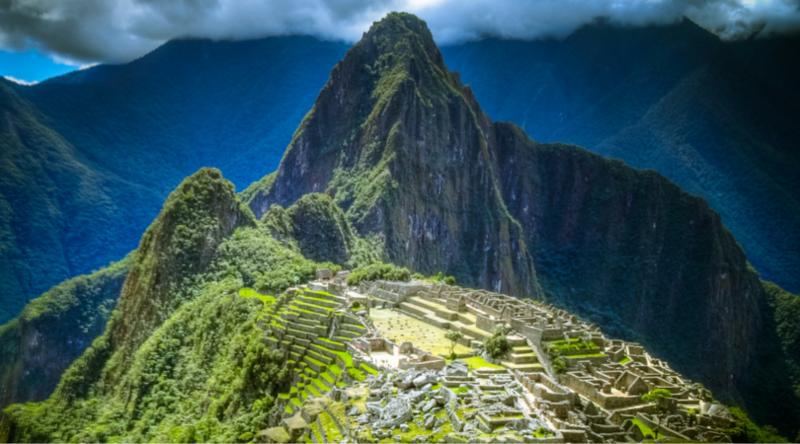 We operate a vast selection of custom itineraries across the country, from trekking the famous Inca Trail, to motorcycle tours, rafting the Amazon, horse back riding and mountain biking. 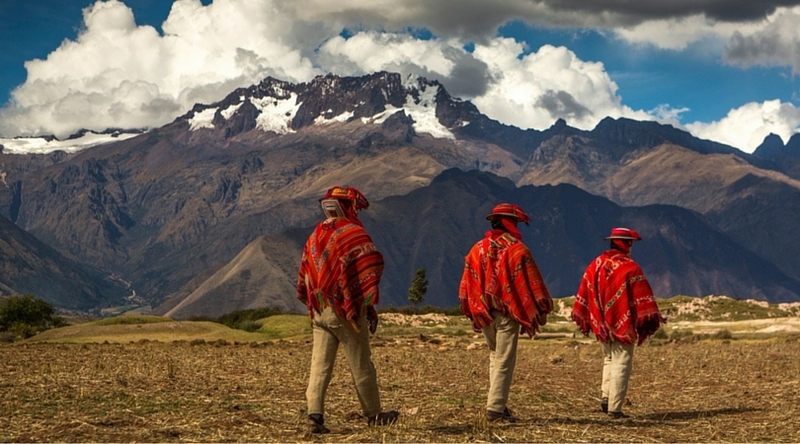 Our Inca Trail tour is something we’re particularly proud of. Much like our operation on Kilimanjaro, we have developed what’s probably the most luxurious means of completing the trek. We use the same large tents for sleeping and dining as in Africa, and our chefs in Peru are world class. We even send a massage tent and masseuse to accompany the treks and set up a mobile relaxation area after a tough day on the trail. Combined with some of the best hotels and lodges in the area, it is truly a once in a lifetime experience. Following your flight from London you will be met at Cusco airport by your personal guide and transferred to your 5* hotel. The rest of the morning will be at your leisure to freshen up, rest and acclimatize to the 3000 meters over sea level on which Cusco city lies. That afternoon your guide will meet you and you will walk through the Grand Parade, visit the Cathedral, Koricancha Temple and the neighbourhood of San Blas, where the most renowned artisans of the city display their art pieces. Today you will visit Sacsayhuaman, an Inca fortress built with impressive ceremonial stone blocks, considered the most important ruins near Cusco City. You will continue your journey to the Sacred Valley to visit the traditional textile center Awanacancha, where we learn more about ancient weaving techniques and about the different types of camelids that live in the Andes. Finally arriving at Pisac, you'll visit the impressive ruins and its traditional market, the most famous of the Sacred Valley. Today you will get on your mountain bikes and tour the Maras, one of the most beautiful parts of the Cusco Andes. Your adventure begins at the village of Maras and continues all the way to Moray Circular ruins, an ancient agricultural experimental center. On the way you will ride through crop fields and have a spectacular view of the snowy peaks of Mount Veronica and Chicon. To take full advantage of the beautiful nature that surrounds us, you will enjoy a delicious outdoor picnic for lunch. Afterwards, following an ancient Inca trail, we continue to the salt mines of Pichingoto, an impressive conglomerate of more than three thousand terraces where salt has been stored from the time of the Inca Empire until today. Depending on how you feel after a days cycling, you will have the chance to go through a "single track" to Urubamba Sacred Valley of the Incas. A highlight of your trip will definitely be the visit to the privately-owned Hacienda Huayoccari, with it's history spanning over three centuries. The mansion today hosts a vast collection of folk art pieces, some of them dating back to the Seventeenth century. From here, we begin our horseback ride tour between fields, before crossing the Urubamba River. During this ride you will enjoy different sites as we pass by some communities known as Huicho, Huayllabamba and Urquillo. We will be able to appreciate the daily life of people from these communities which involves grazing and working on their fields. The Huayoccari Hacienda is a perfect spot to sample life in the country, learn about typical and locally harvested products and admire the colorful flora. Finally, we will enjoy a lunch prepared with fresh products of their plantation. Today we will drive the 82km of the Sacred Valley of the Incas, to the community of Piscaycucho, the starting point of our trek. Here our porters will be waiting with all the equipment ready. They are an essential part of this path and will accompany us throughout the tour. Here you'll begin the journey parallel to the Urubamba River, toward the town of Miskay, surrounded by beautiful views of the imposing Mount Veronica. 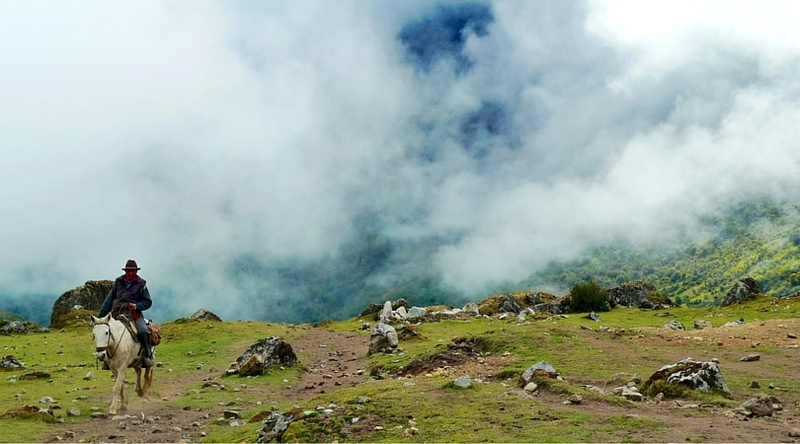 You will then climb to the viewpoint of Llactapata, where we observe this ancient Inca agricultural center. At this point we will say goodbye to the Urubamba Valley to introduce ourselves to the Huayllabamba Valley, where we camp in a village of the same name, built on the foundations of an ancient Inca settlement. You will then settle down in your luxury camp and maybe treat yourself to a relaxing massage. 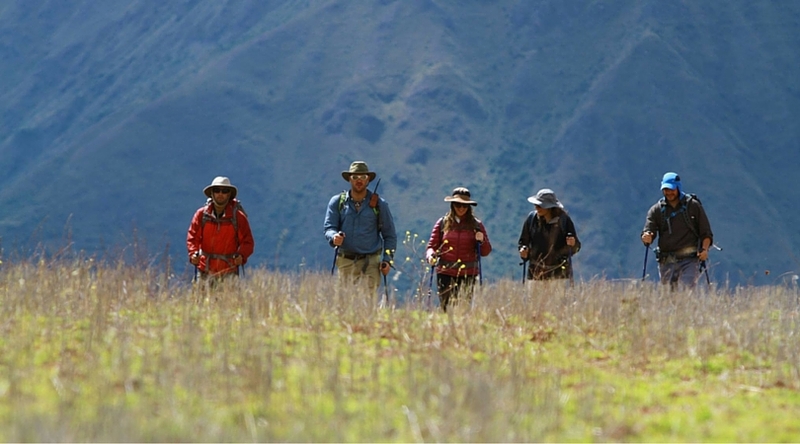 We will begin our journey ascending into Llulluchapampa, through an Uncas forest, Andean native tree; followed by a dwarf forest; and finally to the top of the Inca trail: the gap of Warmihuyñuska (4,200m), where the landscape has transformed into an arid Andean highland. From here you will descend nine hundred meters, by stone steps introducing us to the cloud forest. In this area we have the opportunity to watch several species of birds until we reach Pacaymayo area, where we set up camp. You could definitely say that today is the most beautiful of all the Inca Trail. In the morning, strategically, we will wait for the other groups to go ahead, so that you can enjoy the Inca Trail by yourselves for the rest of the day. We will begin our ascent towards the Runkurakay Gap, where we can see the step of Warmiñuska and the valleys that descend to the Amazon. Then we enter fully into the cloud forest and continue to the ruins of Sallacmarca, by a wide, paved and well preserved Inca trail surrounded by orchids, ferns and bromelias; ideal habitat for birds such as hummingbirds and the spectacled bear, which hopefully can be seen in this area. Finally we continue to Phuyupatamarca, where our camp will be placed overlooking the breathtaking view of the Urubamba and Vilcanota mountain ranges, which dissolve before our eyes to make way for the Amazon. Simply amazing! From our camp you will have the opportunity to see one of the most spectacular sunrises in the Andes, and a 360 ° view of the surrounding mountain ranges, including solid and impressive Salkantay and Pumasillo. Afterwards we will descend, almost 300 meters, to the ruins of Intipata, with a spectacular view over the valley of Urubamba. We will then continue to the most important archaeological site and impressive on the entire route: Winaywayna and then by a road covered with tropical vegetation, to Intipunku ("Gate of the Sun"), where we will have the first fabulous view of Machu Picchu. Here begins the final descent to the Inca citadel where we arrive after most of the tourists have already left, giving you the chance to enjoy this wonder without interruptions. Finally you will descend by bus to Aguas Calientes for a well earned night at the hotel. Today we visit Machu Picchu citadel. Upon our arrival we will have a complete guided tour of the site and then free time to explore by ourselves. Optionally, you can climb to the top of Huayna Picchu, from where we will see a unique view of the citadel, from a different angle, with a breathtaking view of the surrounding mountain peaks and the great canyon of Urubamba. In the afternoon, we’ll take a bus to the town of Aguas Calientes to board the train that will take us back to Cusco. Peru has a wonderful variety of places to stay, and as with all of our trips, we’ve hand picked a selection of the best. We stay in a number of Belmond properties, including the iconic Sanctuary Lodge, and we also use independently run, owner operated lodges which offer an unparalleled personal touch. When on one of our treks, we mobilise our local crew of porters, cooks and Guides, and even our mobile massage tent which is the envy of many other teams. So whether you’re relaxing in a beautiful spa, or camping on the Inca Trail, you can be sure you’ve got a comfortable night ahead.